I had a tiny bit of leftover blue cheese sitting in my fridge that I needed to use up, so I started thinking about what I could do with it. I hate when I have to throw things out because they expire before I can use them. 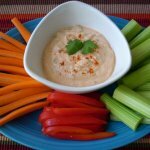 I had some carrots, celery, and red bell pepper, so I decided to make a veggie dip to serve with them. 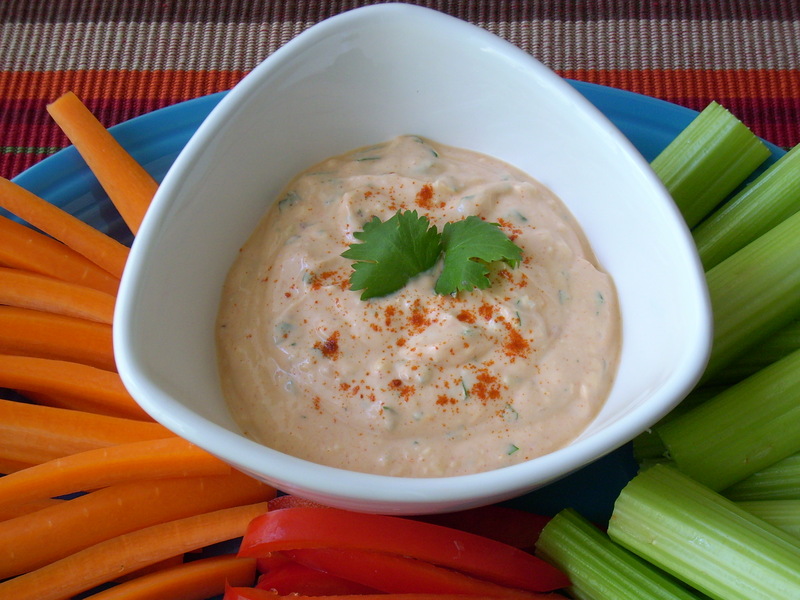 The type of blue cheese used in this will impact the flavor of this dip. I happened to have an America-made Gorgonzola on hand, so that’s what I used. If you have a favorite blue cheese variety, then use what you like. Blue cheese crumbles, plain non-fat greek yogurt, light mayo, one shallot, smoked paprika, Franks Red Hot Sauce, and fresh cilantro. 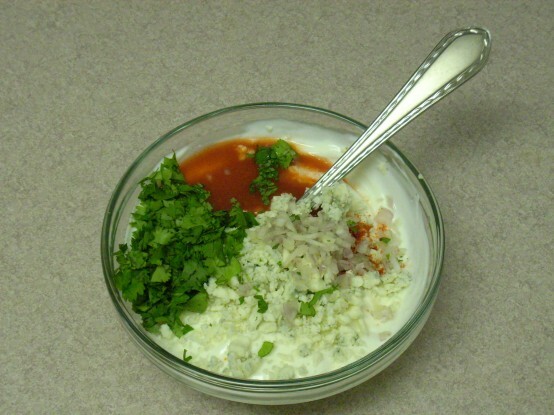 In a small bowl (maybe not this small), add a cup of plain non-fat greek yogurt, one tablespoon light mayo, 1 1/2 tablespoons of Frank’s Hot Sauce, 1/4 teaspoon of smoked paprika, one minced shallot, two tablespoons of blue cheese crumbles, and one tablespoon of finely chopped cilantro. 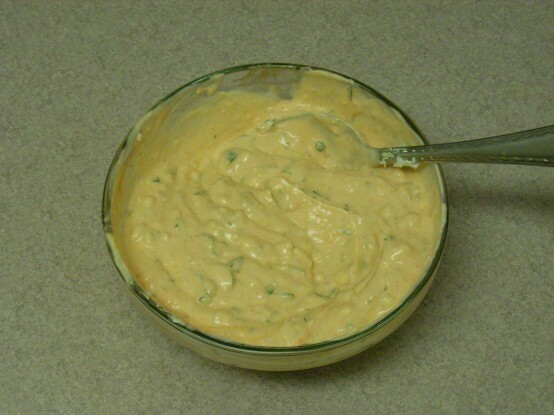 The blue cheese, hot sauce, and mayo all have salt, so I didn’t need to add any. Serve with fresh veggies or crackers. 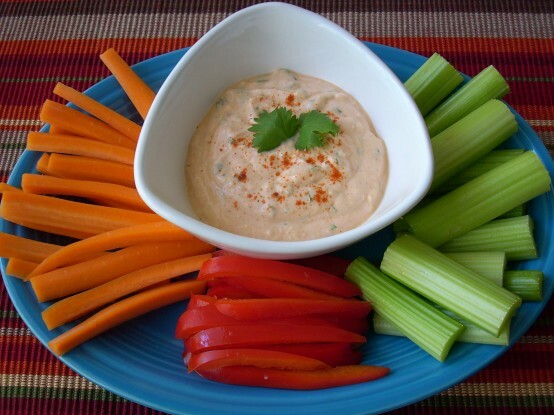 Carrots were especially good with this dip. Place all ingredients into a bowl and mix to combine. Cover and refrigerate for at least one hour prior to serving to allow flavors a chance to combine. The type of blue cheese used will impact the flavor of this dip. I used an American-made Gorgonzola blue cheese for mine. A milder blue cheese will make for a milder-tasting dip, where a stronger one will produce a more potent-tasting one. 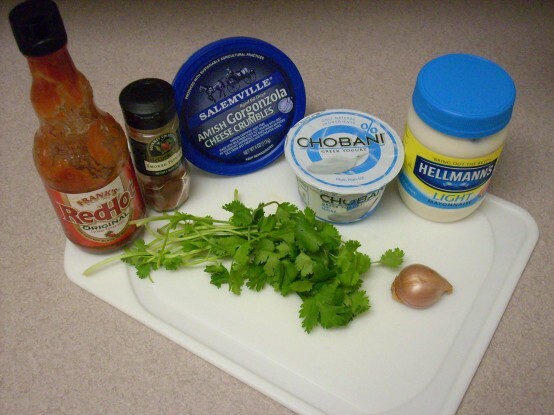 Because the blue cheese, hot sauce, and mayo all contain salt, the dip didn't need any additional salt. Anything with blue cheese will get my attention!! I love your recipes. They’re always so flavorful!